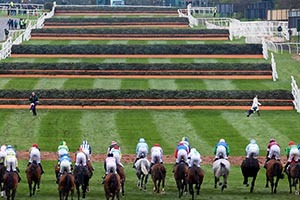 It is predicted that on average a massive £250 million is spent on betting at the Grand National each year. This number is huge, right? The Grand National is a horseracing event for all, welcoming both avid racegoer and newbies. Therefore the idea of betting on the right horse can be daunting for many. If you are planning on placing a bet at Aintree in 2019 then it’s a good idea to get clued up before you go. Our basic guide to betting and terminology will help you to get started. Prior to the race at the Grand National each runner will be allocated a weight. The reason behind this is to ensure the race is fair for every horse. The better horses tend to carry heavier weights as a disadvantage. The weight of a horse is determined by the British Horseracing Authority. Handicap race betting has proven to be difficult. You need to be able to decipher what horse will be able to overcome their handicap during the race and come out victorious. It is important to look at the horse’s previous races, experience and look for alternatives to the favourite to win. An each way bet is made up of two parts which are a “win” and a “place”. Therefore your stake is doubled, which lowers your risk of losing. To “place” means the horse you bet on must finish in the top 3. The stake is equal meaning whatever you bet to win you also bet to place too. So £5 on each for example. If the horse you bet on finishes first then you will win both parts of the bet. This is a great way to bet at the Grand National if you are perhaps nervous about betting for the first time. Ante-Post betting is also referred to as future betting. This a longer term form of betting where you bet on the outcome of an event, in this case the Grand National winner well ahead of time. Also betting with the hope that those available to bet on now will even race. There are pros and cons with this form of betting. The odds are much higher meaning greater returns if the horse you bet on wins. However, the risks are high! It is all about prediction and luck. This is a great promotion offered by some bookmakers. If you take an early price (prices offered before the Board Prices go live) or fixed odds price (the betting price) then if the starting price is greater you are paid out at the biggest odds. Meaning greater returns! There’s so much more to betting but they are the basics to ensure you aren’t a complete novice at the upcoming Grand National. Remember to always bet responsibly and if it’s your first bet try not to get carried away. Fun and enjoyment should be the focus of the day. Experience the Grand National 2019 in style with our VIP hospitality packages and tickets. A fine dining experience awaits. Alongside a complimentary bar, afternoon tea offering and unmissable views. 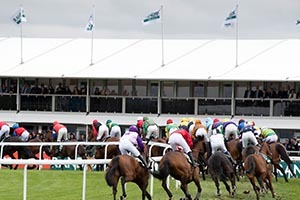 The guest tipsters will be on hand to help you with your betting needs. Your VIP experience at Aintree awaits, be sure you and your guests don’t miss out.